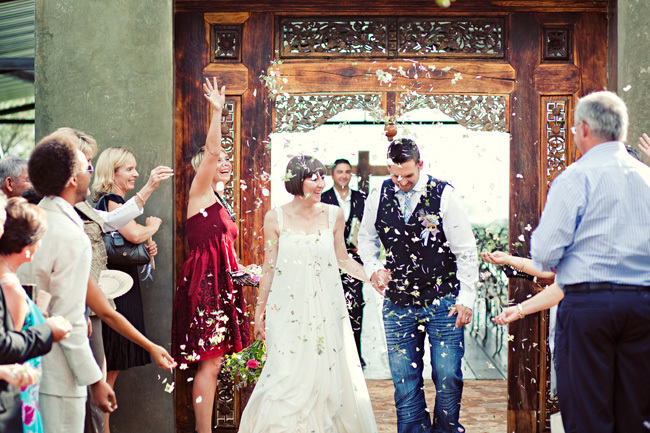 Weddings and denim are two words you may have thought you’d never see together…but think again! 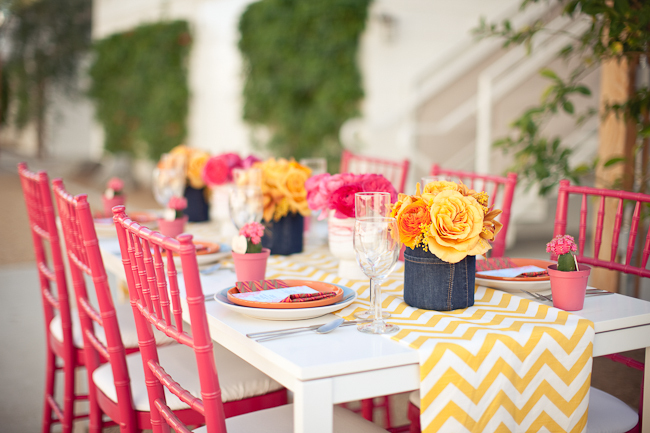 This All-American fabric is surprisingly chic and super cute if used the right way. Don’t believe us? 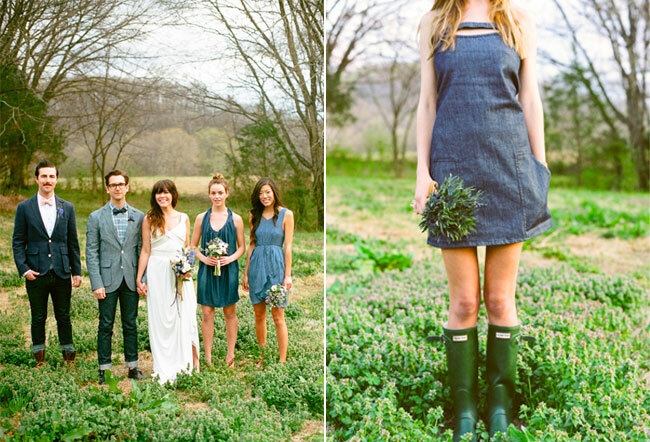 Scroll down and see some of our favorite denim+wedding inspiration. 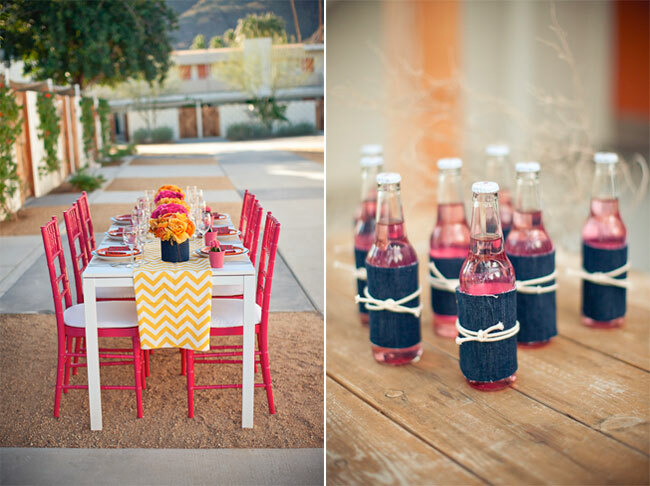 Denim doesn’t have to look “country”…these denim-wrapped vases and bottles of soda are so fresh and modern-looking! via Jesi Haack. Jeans can be found in abundance at thrift stores, and you can get them really cheap. Cut them into strips to make napkin rings with a little twine, via Green Wedding Shoes. Or better yet, make placemats with the back pockets face up and tuck the napkins and flatware into the pocket, via Today’s Nest! 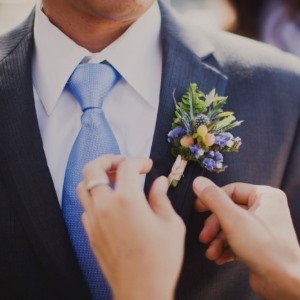 There are lots of other ways you could incorporate denim in your big day–wrap your bouquet with it, make little rosettes for your boutonnieres, make bunting out of it, etc. What a perfect way to breathe new life into an old pair of favorite jeans that you don’t wear anymore! Gorgeous, gorgeous, gorgeous! 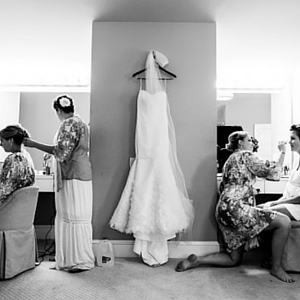 Love this idea and what a great post! 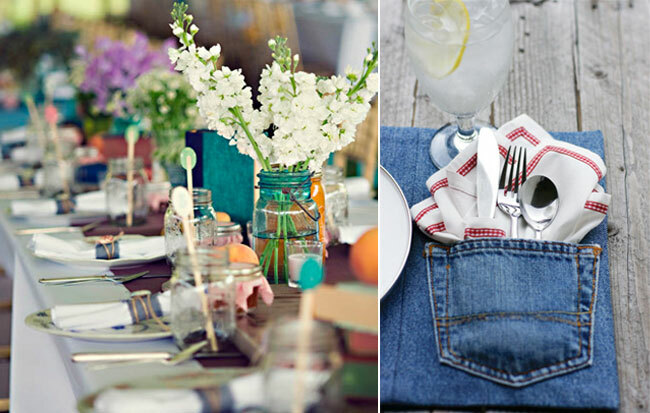 Love the first image with the denim wrapped vases. So cute and unique! I love this-unexpected but so sweet! YES!!! 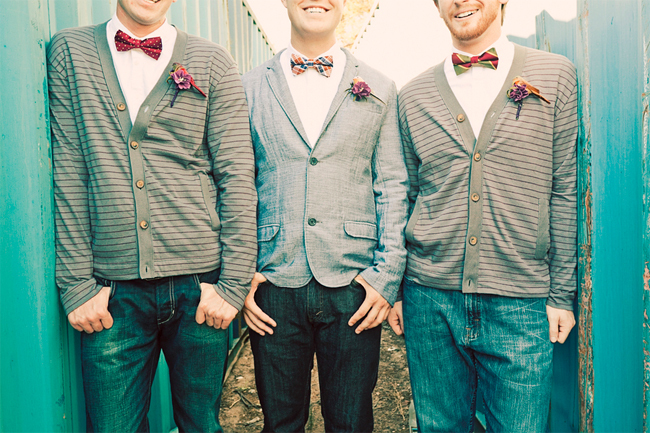 I love denim + weddings! !